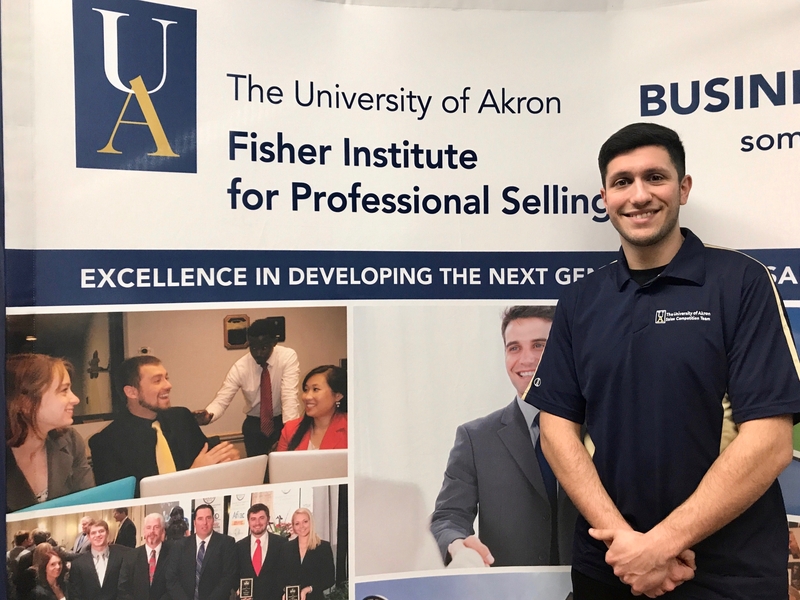 Senior sales management major, Matthew Musci, has received the 2018 Collegiate Award from the National Sales & Marketing Executives (NSME) Akron / Canton Chapter. The NSME is the premier professional organization for sales and marketing practitioners in the Akron / Canton area. Matt is the type of student who stands out in the classroom – and in the larger university setting. He is “always engaged, committed to excellence and prepared in a way that exceeds expectations,” states Marketing Professor Lauren Houser. “Perhaps the thing that stands out most about Matt is his willingness to help other students. Whether creating a new student organization at UA – the Fisher Sales Society, or being selected to represent the College of Business Administration as part of the National Collegiate Sales Competition team, Matt works hard and is successful at everything he does, which is why he is very deserving of this honor," remarks Houser. Matt currently serves as a Student Ambassador for the Fisher Institute for Professional Selling and is also a marketing and sales intern at Group Management Services in Richfield, OH.